Divided by borders. United by purpose. 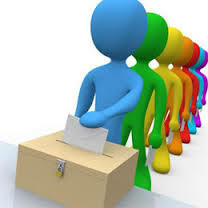 An election process is the formal and organised process of selecting a person(s) for office (usually a position of leadership). It can also refer to a public vote upon a proposition submitted. In theology the term election is also used to refer to the invitation and appointment made by God for his church (corporately and individually). What all these definitions have in common is the process of choosing – the act of free choice. When given the freedom to choose, (without coercion, manipulation, corruption, and misinformation) people thrive and are more likely to invest their energies into a joint effort towards meeting agreed goals. Participation inspires social cohesion and ownership, enabling change to take place. The emotional impact of free choice and participation leads to a feeling of achievement and happiness arising through the shared effort and the shared joy of completing a task together. Conversely, where people are not given free choice and especially when they are forced to participate or accept decisions or actions they don’t agree with you will find resistance (active or passive). Frustration builds up and leads to apathy, rebellion, and desertion. Trusting people to use their freedom of choice wisely requires us to commit to ensuring information is freely accessible, transparency is essential and platforms to address, dialogue and debate the issues of concern are essential, so as to enable people to make informed decisions /choices. Bolivia on 21st February 2016 – referendum on constitution allowing leaders to run for as many terms of offices as they like. The current President (Evo Maroles) as already run for three terms! Niger on 21st February 2016 – Presidential: of the 15 candidates approved to run the number who are facing charges ranging from political impropriety, trafficking to failing to submit a health certificate in a timely manner. United Kingdom on 23rd June 2016 – referendum to stay in the EU or to leave. All this will be held during the media assault on migrants and refugees. We can so easily become disillusioned with the election process that we withdraw. I sometimes wonder if in the church we also play a power game and hold onto information, don’t encourage participation, restrict choice, and limit discussions on issues of concern. Micah is a movement that seeks to create the space of shared learning, the platform to address the questions and concerns of communities, the place where we can question, challenge, inspire one another and change what is needed. Lord, our hearts break when we see the failed election processes around the world, when we see those in power seeking to make laws that keep their power for themselves, that create climates of fear and confusion. We earnestly seek ways in which we can speak truth to power, ensure people have access to information that enables wise decision making and create spaces for discussion. Give us the courage to challenge our own institutions that limit participation and hold onto power through information control. Thank you Lord that you have given us the freedom to choose to follow you. Thank you that you call us to participate with you in your mission, empowering us with the gifts and skills we need, and sending your Spirit to guide us with Truth and Love. Extract from EEA Refugee Prayer Letter: News from Croatia – see whole story here. Since the beginning of the migrant crisis, 568 439 persons entered the Republic of Croatia. 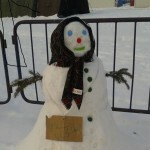 A few days ago, the camp in Slavonski Brod (a city in the Eastern Croatia, on the border with Bosnia and Herzegovina) was covered in the first snow, as evidenced by the photograph of the snowman – with arms wide open, the snowman is the camp’s symbol of hospitality and welcoming to refugees in Croatia. In search of a safer life, in search of freedom and dignity, many were forced to leave their homes, leave years of hard work, leave everything they owned, and start their life-changing journey; a journey of hope, journey towards a better life. Thank God for the volunteers that have come from all over the world to serve the refugees. Pray for more volunteers to join them. Pray that police will understand and empathise with the refugees and so enable registration to be quicker. It is getting colder, many camps will struggle with this. Pray for warm accommodation for all in need. 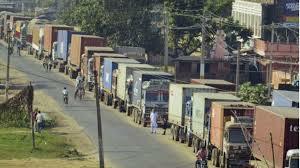 After 5 long months the blockade between India and Nepal has been lifted. It produced severe shortages of fuel, medicines and essential supplies at a time when Nepal was still recovering from the devastating earthquake. The PM of Nepal will visit India this week to seek to “normalise” relationships. We wonder what this means. Thank you to everyone who sent letters to Indian embassies to support the removal of the blockade. Let’s continue to pray for the freedom of Nepal to choose its own way without coercion from India. The shortages of food has also created a food price hike. All this affects the poorest families the worst. Lord, we cry out to you for rain for this thirst land. We pray too that the international community will respond in a timely manner with food support to cover this gap. 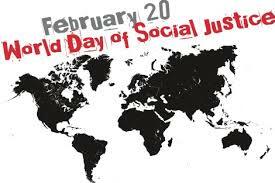 The UN sets aside the 20th February annual as the World Social Justice Day. The 2016 theme is: A Just Transition - environmentally sustainable economies and societies. 1) Decent work and fair wage: Lord, you have given us a tremendous capacity to work and be creative. We are angry against those who exploit people through bonded labour, slavery, and unfair wages. We lament the many that are without work. May each of us do what we can individually and corporately to out an end to exploitation and to create the jobs needed for dignity and wellbeing for all. 2) Poverty Eradication: Lord, we know you have supplied sufficient wealth and resources in our world for all to live life in all its fullness. We are angry against those who hoard wealth and do not seek the welfare of others. We confess our own selfishness and ask that you would enable your church to demonstrate love through generosity, hospitality and determination to eradicate poverty. 3) Environmental sustainability: Lord, we hear the groans of creation and earnestly seek ways to restore the vitality of our world. We pray for the persistence of raising awareness about actions that destroy and harm our planet as well as the conviction to live out the lifestyle that demonstrates our care. Haiti: Micah Haiti held their integral mission conversation on 18th and 19th February 2016. The theme was Courage for Change. Please pray for the seeds sewn to bear fruit. Côte d’Ivoire: The integral mission conversation will be held on the 17th to 20th March 2016. The theme is Intentionally Missional. Please pray for the preparation and finances needed for this gathering. Nepal: their integral mission conversation will be held on 28th to 29th March 2016, with them theme Local church agent of transformation. Please pray for leaders that will attend this – that they may be inspired to engage in community transformation. Moldova: an integral mission conversation will be held in Moldova from 8th to 9th April 2016. The meeting will explore poverty and injustice in the Moldovan context. Micah Board: thank you for all who prayer for our Board meeting held from the 10th to 12th February. Please continue to pray for us all as we roll out the strategy developed at this meeting. 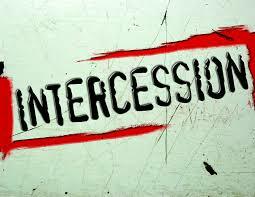 Pray too for the health of our Board as a number of members have been unwell.